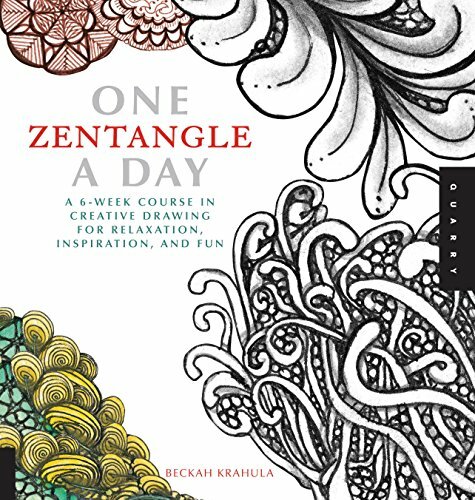 You don’t have to be a Certified Zentangle Teacher to teach others and share the joy of Zentangle. Throwing an informal Zentangle party for your friends is a great way to introduce it to your friends so you can have more Zentangle buddies! Here are some Zentangle party ideas to get you started! plenty of snacks of course, it’s a party! Tangling is just pattern-making, which is something humans have been doing for thousands of years. 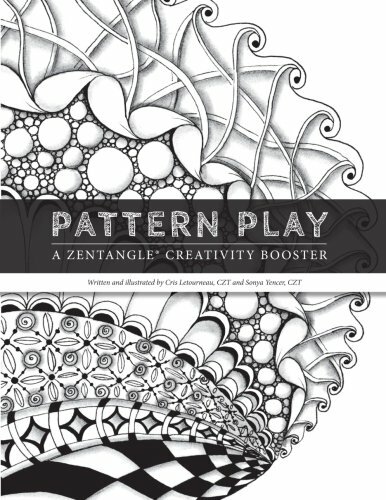 Zentangle is a simplified and accessible way of building on the small building blocks of easy to learn patterns to create more intricate designs, one step at a time. It lets everyone learn to make beautiful drawings, no matter their skill level when they start. Don’t be intimidated by the complex drawings in some of the Zentangle books. We will start with some basic patterns everyone can learn. The “Zen” part of Zentangle is about mindfulness — a state of focused attention where your stress and concerns fade into the background and you are totally present with what you are doing. Because of the repetitive nature of Zentangle, it encourages this meditative state of mind. Using a pencil and a light touch, draw four dots in each corner. Connect the dots in a square (doesn’t have to be perfect). Starting from one edge, draw some kind of large squiggle that divides up the space into roughly 4-6 sections (make sure to show examples of this). Fill each section with a pattern. Make sure to provide at least 6 and no more than 10 easy patterns with step by step instructions. 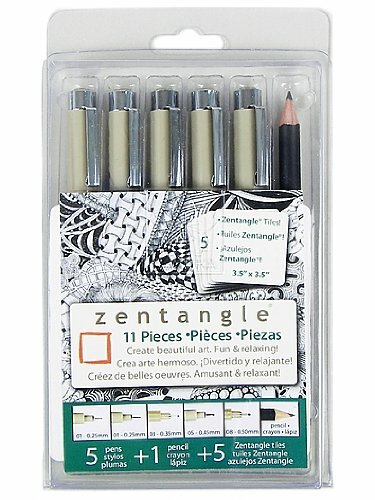 You can find these only by searching for “Zentangle step by step” or “Zentangle easy patterns”. Have these printed out for everyone (or have enough that people can share). When it comes to art, a lot of people feel afraid of doing things “wrong”. 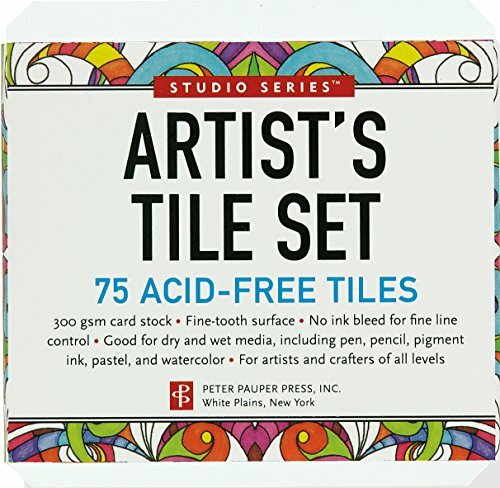 You can reassure them by saying, “There are no mistakes, we’re just here to have fun”, “Zentangle is about the process, not the final product–it’s about letting go of self-criticism and getting into the feeling of making something”, or even “There are plenty of tiles if you decide you don’t like what you are doing and want to start again”. At the end be sure to leave time for everyone to share what they’ve made with each other! Provide pre-drawn “strings” of animal shapes – always popular! Give everyone a tile with a string and have them fill in one section. Then have everyone exchange tiles and fill in another section. Keep going until all the sections on all the tiles are filled in.